In 1995, after working together at another FELA law firm for 10 years, Mike and John sensed the need for a more client-centered approach. This was the beginning of Roven-Kaplan, LLP. Knowing each other since law school, John Roven and Mike Kaplan have worked together, since 1985, on behalf of retired railroaders who were the victims of asbestos disease. In 1995, after working together at another FELA law firm for 10 years, Mike and John sensed the need for a more client-centered approach. This was the beginning of Roven-Kaplan, LLP. 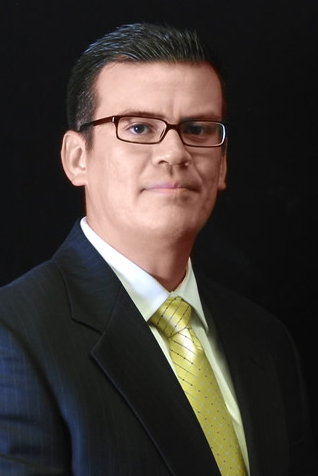 Born and raised in the Rio Grande Valley, Hector Sandoval joined Roven-Kaplan, L.L.P. as an associate in 2004. Now in his 8th year of practice, Mr. Sandoval continues to represent asbestos victims and injured railroaders and has now expanded his practice to include representation of individuals seriously injured by the use of dangerous pharmaceutical drugs and recalled medical devices. For the last 17 years, our firm has expanded and remains dedicated to serving railroad retirees and their families. This commitment continues today and forms the bedrock of our practice. With our firm steadily growing and a network of national co-counsel and a professional support staff, we continue to focus on the needs of the working wounded in the rail industry. When injury strikes, it is critical for a law firm to respond to the special problems a worker and his (or her) family face. A railroad worker's world is unique; from the need for RRB temporary disability benefits, to the completion of required accident reports and the need of a referral to an independent, qualified, doctor. We can help! Injured railroad workers often face difficult decisions of whether to settle or litigate an injury claim. Roven-Kaplan's lawyers operate on the commitment and belief that every injured person is entitled to an educated and informed opinion about his chances of complete physical recovery before the decision is made to settle a case. If the railroad is unreasonable and your case needs to be tried to a jury, our Firm's experience in handling FELA trials, coupled with our association with highly qualified local counsel throughout the country, provides our clients with the kind of support system and aggressive approach it takes to go toe-to-toe with big corporations. Whether you require confidential counseling, (so you can deal with the railroads' claim department on a minor injury yourself) litigation and/or mediation of your injury case, or trial by jury, we stand ready to help you and your family move through a difficult time and onward to a successful result and a new beginning. Hector has dedicated his practice to representing victims in personal injury claims including injured railroad workers in claims arising under the Federal Employers' Liability Act (FELA) for occupational injuries including asbestosis, silicosis and other occupationally induced traumatic injuries. Additionally, Mr. Sandoval represents victims involved in products liability cases and automobile accidents. Hector was born in San Juan, Texas and raised in the heart of the Rio Grande Valley in the small town of Donna, Texas. After graduating from high school, Hector earned his undergraduate degree from the University of Texas at Austin. He went on to earn his law degree from South Texas College of Law. Mr. Sandoval is admitted to the State Bar of Texas and is a member of the Houston Young Lawyers' Association, the Association of Trial Lawyers of America, the Houston Hispanic Bar Association and the Mexican-American Bar Association of Houston.